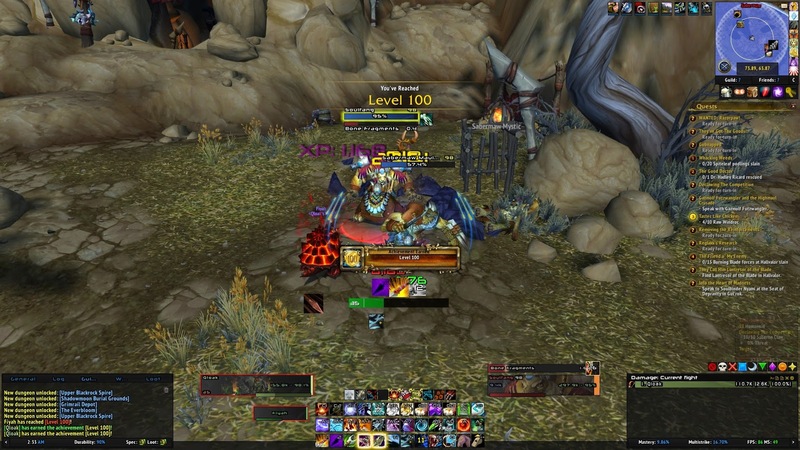 For my third level 100 i decided to transfer my Hunter over to Stormrage. I also decided to change it up a bit so i went from Blood Elf female to Human male. I had no real reason for doing so other than it just feeling right at the time. Blizzard sure knows how to milk me out of my money with the ridiculous cost of all my transfers and faction changes. First world problems i suppose. The aspect i was looking forward to the most upon reaching cap was the Lone Wolf talent. I’ve always been a fan of bow classes but have always hating anything having to do with pets. I essentially turned my hunter into an archer and i couldn’t be happier. No longer do i have to deal with pathing issues or random trains created if i forget to dismiss my pet before jumping off ledges. While i still use a pet for soloing purposes, it’s glorious not having to bother with one in instances or raids. Sorry fellas, you’ve been stabled for a while.